About this objectA PHOTO OF THE ASHCROFT THEATRE SAFETY CURTAIN DESIGNED BY HENRY BIRD. THE CURTAIN IS A CELEBRATION OF THE WOLRD OF THEATRE AND REFERENCES CROYDON'S RICH THEATRICAL HISTORY. 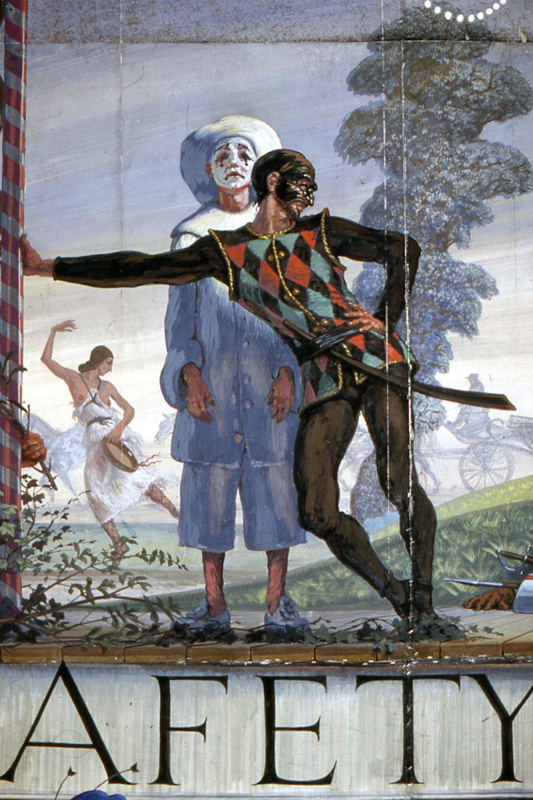 THIS PHOTO DEPICTS PIERROT AND HARLEQUIN, CHARACTERS FROM THE COMMEDIA DELL'ARTE.